A waterlogged pitch at the Murray, East Kilbride, unfortunately forced the postponement of last Saturday’s scheduled Scottish Amateur Cup fourth round clash between East Kilbride Thistle and Oban Saints. With more rain forecast for the later part of this week, both sides will have eyes cast heavenwards hoping to avoid another blank Saturday. 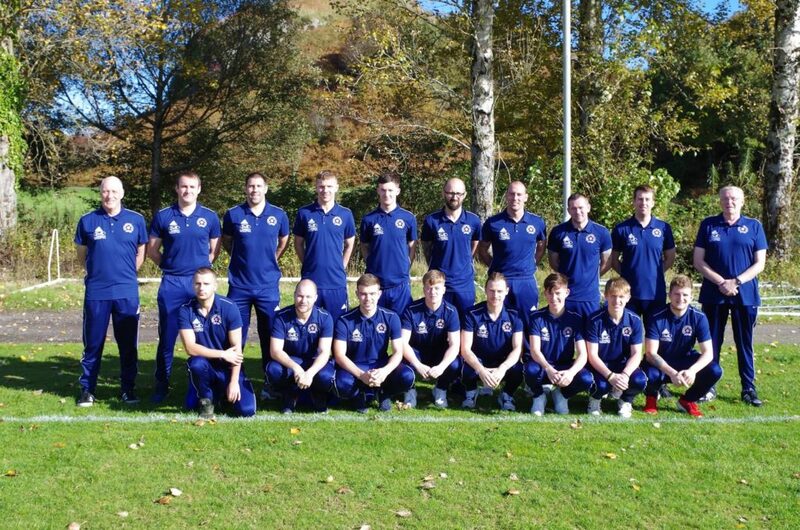 Saints opponents come under the umbrella of Scottish Junior Football Association West Region League One club East Kilbride Thistle who added the amateur side to their ranks four years ago. Joining the Strathclyde Saturday Morning Amateur Football League for the 2015-16 season, Thistle made an instant impact gaining promotion to Division 1B after narrowly missing out on the Second Division crown to champions Westercommon. The newly-formed club’s first silverware arrived in just their second full season when they edged out Holytown Colts and Port Glasgow United by a single point to clinch the Division 1B trophy and with it promotion to the Premier Division. Season 2017-18 saw Thistle consolidate their new position in the top flight with a mid-table finish while adding the Strathclyde Saturday Morning Amateur Football League Chairman’s Cup to their trophy cabinet after a thrilling 4-3 extra-time victory over Windlaw at New Tinto Park, Govan. This season the Jags’ aim will be to improve their position in the final league standings where they again sit mid-table. League big guns East Dunbartonshire and UB United look set to battle it out for the Premier Division trophy. However, a draw for Thistle against reigning champions Tynecastle coupled with wins over Glasgow South, AFC Ravenscraig and Westercommon Star gives the East Kilbride men a fighting chance of a top-half finish. Thistle began their Scottish Amateur Cup campaign with a local derby against Claremont of Scottish Amateur Football League Premier Division One. After going in level at the break, the Jags had to come from behind to edge out their hosts by three goals to two. In the second round, Thistle had home advantage for the visit of Greater Glasgow Premier Amateur Football League Division Two strugglers Helensburgh. The men from Argyll’s struggles continued when they were routed 6-1 at Ballerup. The third round draw saw Thistle paired with Braehead of the Glasgow and District Saturday Morning Football League Premier Division. 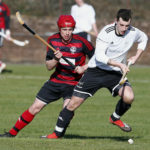 Both clubs were delighted to stick with their customary 10am kick-off at Drumoyne, in the shadow of Glasgow’s new Queen Elizabeth University Hospital, where the East Kilbride men saw off the challenge of their Renfrew-based opponents by four goals to two. 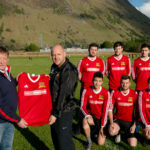 Oban Saints’ winning start to the season came to an end in their last outing at Glencruitten when Premier Division leaders St Joseph’s FP edged out their hosts by the narrowest of margins. 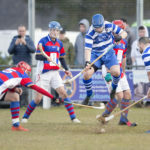 A solitary second-half David Gallagher glancing header was all that could separate the old Scottish Amateur Football League rivals who fought out an even contest in front of a large crowd of well-entertained spectators. The Saints management duo of Donald Campbell and Willie Gemmell will be looking for a positive reaction from their charges, whom they hope will bounce back immediately from their league set-back and keep their Scottish Amateur Cup hopes alive until after the Christmas and New Year fixture shutdown.